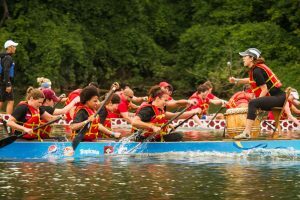 RVA Dragon Boat Club is a newly created, fun-loving group of all ages and skill levels, committed to exercise, teamwork, and promoting the sport of dragon boat. Our club seeks to share the benefits of the sport with anyone who would like to give it a try, regardless of experience or fitness level. This accessible team sport is fun, energizing and exciting. A full body workout with opportunities for recreational training or competitive racing, depending on your interest. Our coaches and members are dedicated to helping new paddlers acclimate to the sport. Weekly practices allow our members to build endurance on the water and refine our technique, in order to bring out our best at competitive regional festivals throughout the year if we chose to participate. 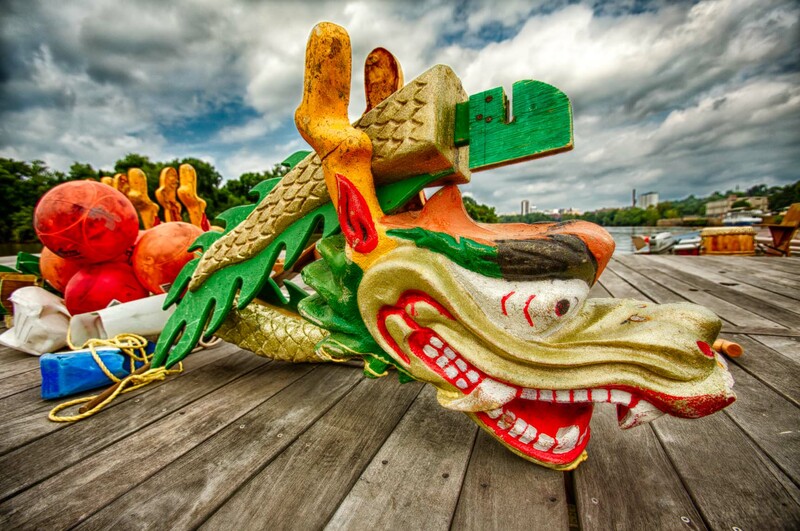 The roots of dragon boat racing go back over 2,000 years to the southern provinces of China. Legend has it that Qu Yuan, a scholar and advisor to the emperor of the Chu Kingdom, jumped into the Mei Lo (Mi Luo) River in despair and protest against government corruption. Local fishermen raced out in their boats to save him. They beat drums and pounded their paddles on the river’s waters and threw rice dumplings wrapped in silk into the river to distract the water dragons and keep them from eating from Qu Yuan’s body. Dragon boating evolved from the re-enactment of this legend at annual festivals. 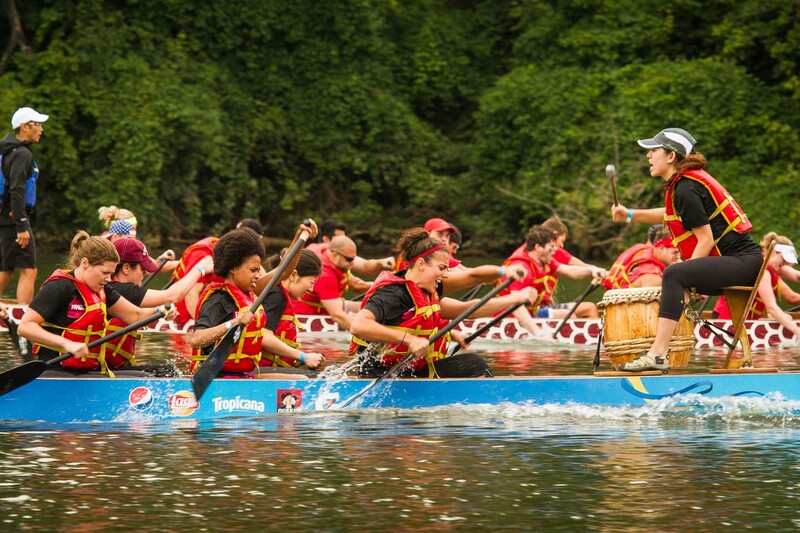 Today, dragon boating is the fastest growing international team water sport. Each year, race festivals are held around the world in Asia, Australia, Canada, Europe and the United States.